Some Klipsch Headphones are sold with a hologram sticker with the serial number printed on it (see image). 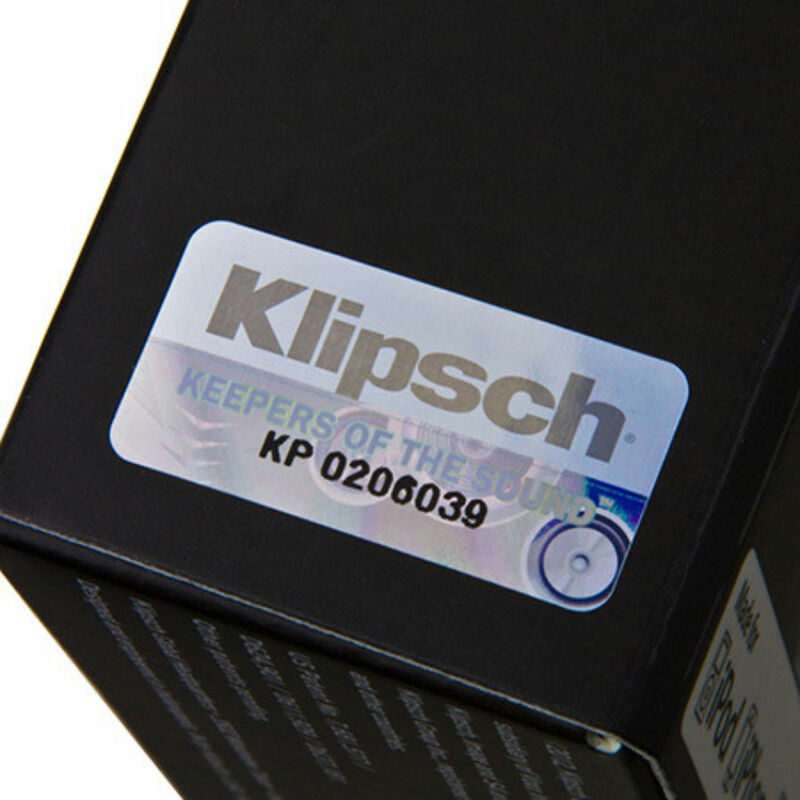 If your product has such a sticker, you can use the form below to verify the serial number and ensure you have a 100% authentic Klipsch product. Ensure you have entered a space between the first 2 letters and the remainder of the serial #. NOTICE: The serial number verification form is currently down for maintenance. Please check back at a later time. We apologize for any inconvenience.